Figure. 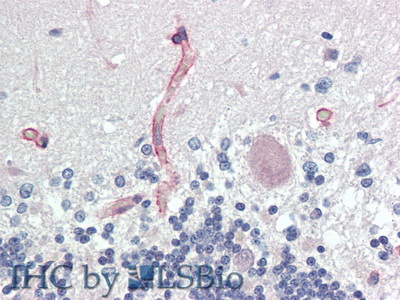 Western Blot; Sample: Recombinant AGRN, Rat. 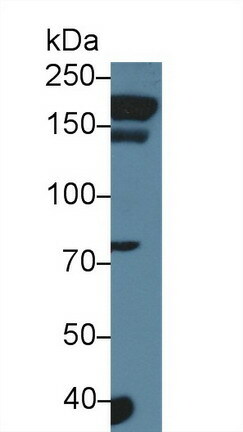 The antibody is a rabbit polyclonal antibody raised against AGRN. 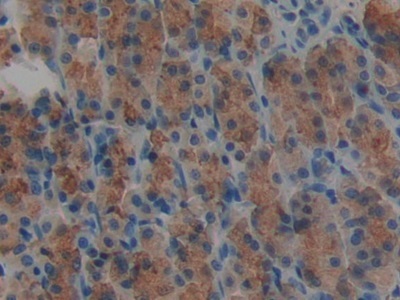 It has been selected for its ability to recognize AGRN in immunohistochemical staining and western blotting. 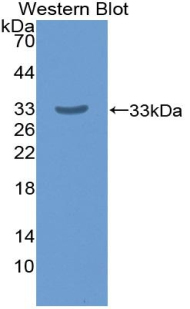 RPB303Ra01 Recombinant Agrin (AGRN) Positive Control; Immunogen; SDS-PAGE; WB. 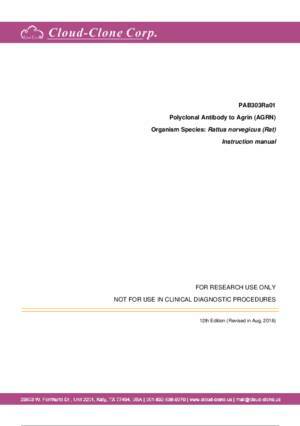 PAB303Ra01 Polyclonal Antibody to Agrin (AGRN) WB; IHC; ICC; IP.